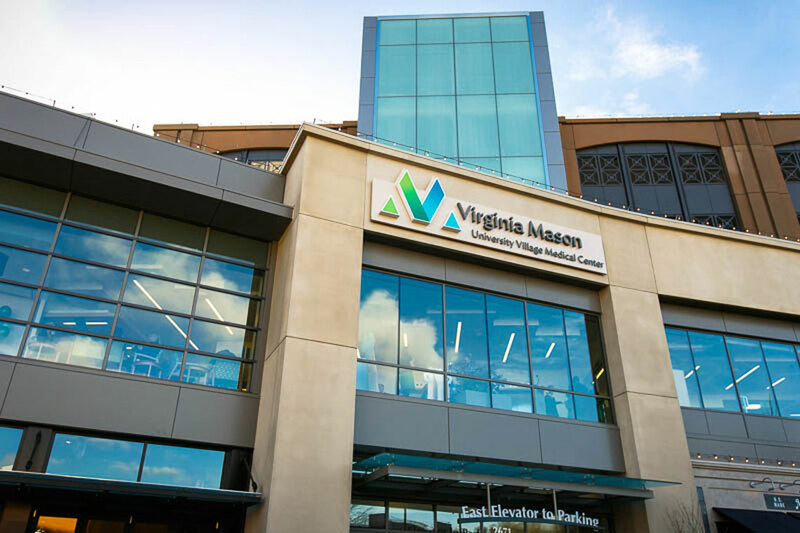 The Virginia Mason University Village Medical Center offers the following comprehensive services: adult primary care, pediatrics, asthma and allergy care, dermatology, on-site lab, radiology/3D mammography and urgent care. Virginia Mason University Village is located on the second floor in University Village’s new South building. From 520: Take the Montlake exit and follow Montlake Boulevard going north past Husky Stadium. Then veer to the left onto 25th Avenue NE and University Village will be on the right. From I-5: Take the NE 45th Street exit and head east. Continue along 45th past the University of Washington. At the bottom of the hill take the first right and loop around to 25th Avenue NE. University Village will be on the right. Patient parking may be found in the South building on levels C and D.